An experienced Shropshire solicitor has been appointed as the senior partner at one of the county’s largest legal firms. Jeremy Taylor has been promoted to the role at Wace Morgan Solicitors, which has three offices in Shrewsbury and one in Newtown, mid Wales. 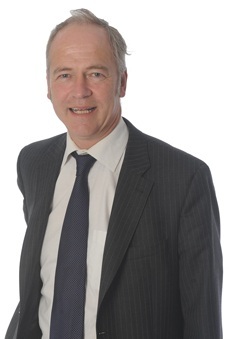 One of the Midlands’ leading personal injury specialists, Jeremy joined Wace Morgan 27 years ago after training with another Shropshire firm. He is a former president of both the Shropshire Law Society and Forces Law, the national organisation representing military personnel. He is also a longstanding trustee of Shropshire Headway, the charity which supports victims of head injury, and a founder member and ex president of Darwin Rotary Club in Shrewsbury. Mr Taylor made national headlines late last year when he won a high profile compensation case for female army recruits who were awarded substantial damages after suffering injuries caused by high impact training in mixed squads with male colleagues. The case led to the Ministry of Defence reviewing its training practices for new recruits to reduce the risk of injury to female soldiers.